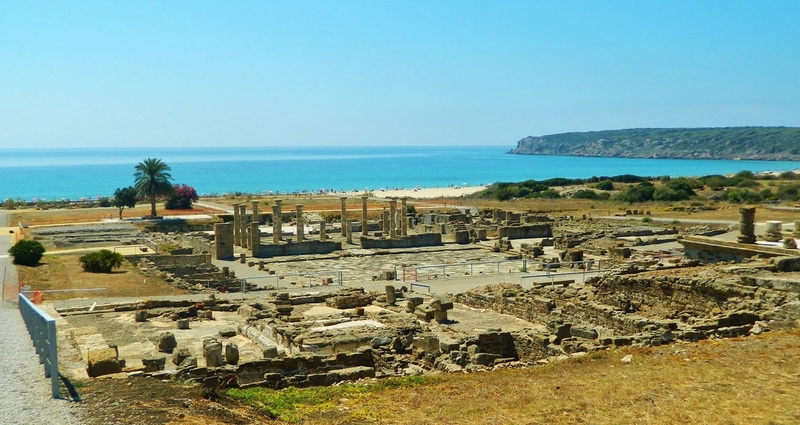 Just two hours to the south of the city of Rota is the Baelo Claudia Archaeological Complex in the Village of Bolonia. Baelo Claudia is the remains of a Roman city which emerged sometime around the 2nd century BC. That, my friends, was a very LONG time ago. The columns pictured above are what still remain of the city’s Basilica (seat of the town government), and they are well over 2,000 years old. 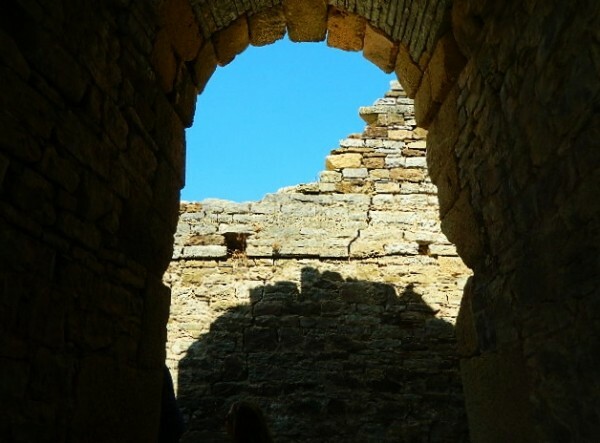 Baelo Claudia is regarded as one of the most well-preserved cities of the Roman Empire on the Iberian Peninsula. It is still an active archaeological site today, with scientists from the University of Alicante (eastern coast of Spain) leading excavations. Pictured above is the view of what was the city center–portions of the forum, the market, the baths, the roads, the amphitheater and the aqueduct system are easily distinguishable. 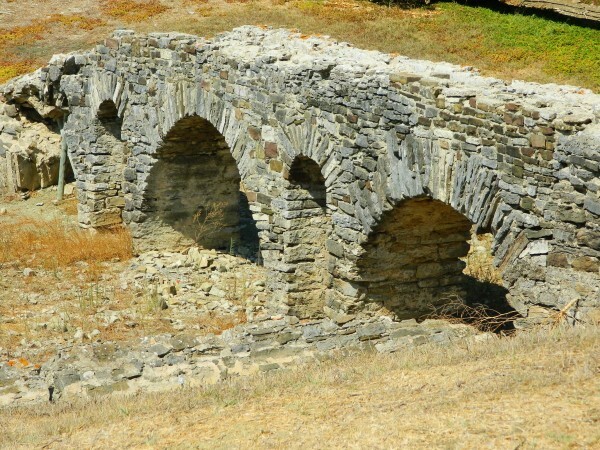 The city was eventually destroyed by a series of earthquakes, around the 3rd century AD. Down the hill near the beach, the remains of the fish-salting factory are well-intact and you can almost picture the people of this community walking, shopping, working, living in the town, going about day-to-day life. 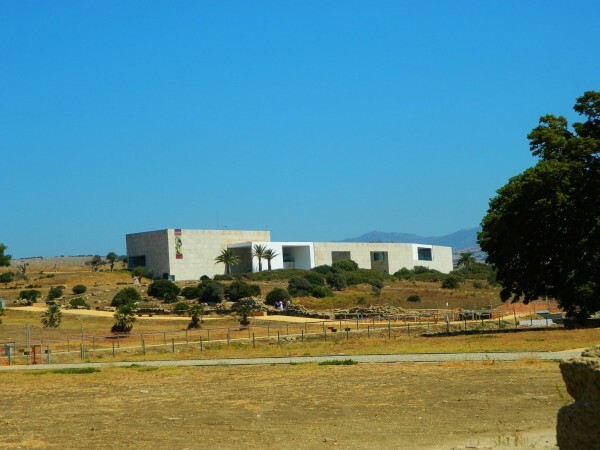 The sleek, ultra-modern visitor center at the site, (opened in 2007), is in sharp contrast to the ruins which lie just below, down the gentle sloping hill toward the beach. The visitor center boasts a beautiful museum, library, gift shop, and re-creations of the once-thriving civilization. Once outside, a self-guided walking circuit leads you through the various parts of town. Overall, one of the coolest places we have visited in Spain so far. We rounded out the day by continuing south to the city of Tarifa, where you can watch the ferry as it sails off to Tangier, Morocco, in Africa. On a clear day, you can look across the Strait of Gibraltar to Africa. On the day we went, there was too much haze to see it clearly, although we could make it out enough to say, “Hey, there’s Africa!” That’s a trip for another day.